Avenue whose Association makes a bulk payment). Please click on the below for full details of the AGM, including reports and local news. Before the AGM Notice comes round to you next month, here are a few updates and reminders of events to keep you abreast of local matters. AGM 10 April 2018 – as advised in the January bulletin, this will take place at 7.30 pm (drinks beforehand) at Wallace Fields Junior School in Dorling Drive. 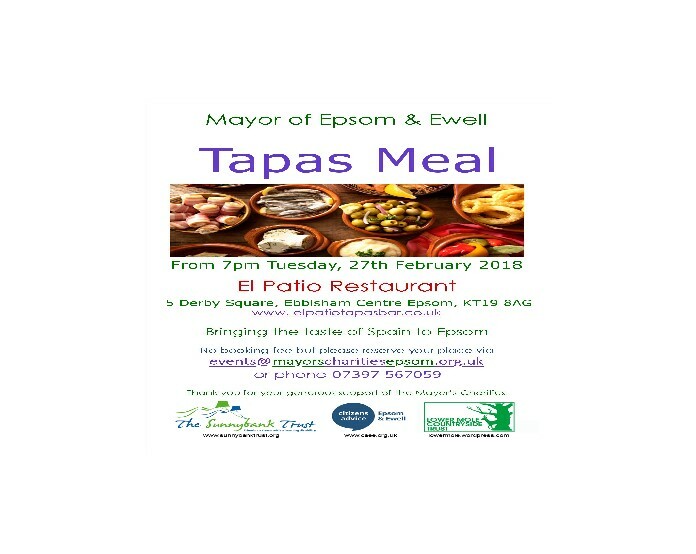 In view of the importance of the issue of the future of Epsom Hospital, our speaker will be Daniel Elkeles, the CEO of Epsom & St Helier NHS Trust. It would be a good idea to have some specific topics that we would like to raise with Daniel. Please get in touch with these so we can direct the presentation to suit our needs. Do come along and join us – we would be delighted to welcome you. There is no further news to report at the moment – we are seeking a meeting with Ms Rutter and hope to advise of the result of this in our next bulletin. One matter that concerns us is the amount of litter on the pathway to Ewell East Station which continues to increase. Ewell Village residents are planning a litter clean up and the details are shown on the flyer below. They ask for any litter “hot spots” to be identified and we shall pass on the message about the pathway so that this may be included in the clear-up. Mayfield Lavender plans approved – the planning application for the erection of a replacement shop, extension to car park, extension to outside plant sales area and use of part of an existing glasshouse for a tearoom/lecture room at the site on the Reigate Road was approved at the Planning Committee meeting in January. We look forward to sitting in the sun, surrounded by lavender, drinking coffee and tea with home made cakes! In addition the planning application for the erection of first floor and second floor infill extension to provide 4 x 2 bedroom residential flats, including partial demolition of the existing ground floor structure on 4/5 Market Parade was also approved. Co-op – Ewell Village – the application to change the shop front signage to a much more stylish logo was also approved. This can be seen on the Planning Application web under ref: 17/01187/ADV. Mandalina – 74 High Street Ewell – the old Ewell Bakery has been transformed into a new café and is well worth a visit. N.B. – Residents should note that from 17 January 2018, all planning application fees will increase by 20% in line with national regulations. Road names for Sycamore Gardens (Phase 2) – the proposed names for the second phase of building on the former Nescot site will be published in the AGM Notice due out next month. Council Tax 2018/19 – SCC proportion of Council tax demand rises by 5.99%, the Police by 5.34% and E&E by 2.98%. The overall average rise being 5.583%. Truly affordable or social housing meeting local needs; additional housing should prioritise local people in real housing need; additional housing only to meet local needs; any new housing should be truly affordable and meet local need; majority of new housing on any scale should be affordable; the emphasis should be on affordable housing. Countering this the comments were – no loss of Green Belt or park land; no loss of Green Belt which is performing its proper function; Green Belt preservation should be a priority otherwise the character and identity of the area will be destroyed; building on the Green Belt would undoubtedly be the thin edge of the wedge and would lead to extreme environmental damage; oppose any use of Green Belt as once it’s gone it’s gone for all future generations. Suggestions for areas where housing can be provided included – properly evaluate brownfield sites first; empty office blocks that can be converted into housing; free up empty properties; interrogate disused and under used sites. There were suggestions for more efficient/intensive space utilisation/backland/downsizing. On the subject of development strain on supporting infrastructure – the comments were – the amount of homes being asked for is not realistic, our transport links, schools and hospitals are already stretched to the max; need to consider provision of other services, such as hospitals, schools, transport; Epsom roads are absolutely full to bursting… GP surgeries are overrun with patients and schools are over-subscribed. In addition to supporting denser housing near town centre/rail stations, the comments included – look to other/more suitable areas across UK; action should be taken to address the unsustainable population growth in the South East when other areas of the country are shrinking; promote the idea of building a new town with the appropriate infrastructure somewhere accessible some 50 miles north of greater London; giving areas other than London and the South East a boost. There were also concerns with Government policy. Several sites were proposed for redevelopment and these are shown on the web. The overall result was that 73% of respondents favoured a balanced approach. We hope to learn more about what happens next at our AGM. Plan E improvement works –the footway paving on the eastern side of South Street has now been completed. This pavement is now fully open. Lane closures and temporary footways have now been set up on the western side of South Street. Works on this side of the road will include paving of the footway, removing and reinstating kerbs and work to traffic signals. The new loading bay on South Street is not yet in use. This will fully open once the works on the western side of South Street have been completed. Once they have completed the footway work on South Street, they will move onto the next phases of the scheme. These phases will include the improvement to the Marquis and Playhouse junctions. It is expected that these phases will commence shortly. Please note that some traffic disruption during these phases is expected. Please allow more time to your journeys when travelling through the town centre. East Street – still no progress on the road alterations! We understand that due to financial constraints the Kiln Lane Link has been shelved. Litter clearance on East Street – A huge litter-pick in Epsom’s East Street has been carried-out by the World Mission Society Church of God. More than 100 bags of litter were collected by 40 volunteers last Sunday, February 11. Allegedly, 320kg of litter was collected during the day – equivalent to the weight of a large Bengal Tiger. Alexander Holmes, a member of the Church of God, said: “As we belong to Epsom we really want it to have a clean and beautiful image. 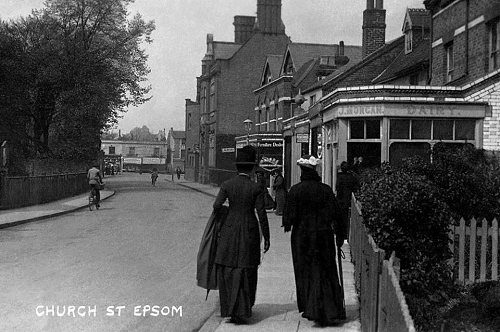 “We chose East Street as it is the main entrance from central London and the first impression people get of Epsom. Well done everyone who participated – an example to all of us to make sure that the area outside our home is clear of litter – a small step but an important one! 166 Bus route – We are delighted to announce that bus route 166 will be retained without amendment for the next 5 years, thanks to an agreement between Surrey County Council (SCC) and Transport for London. Parking Restrictions – Do you have a suggestion for a new on-street parking restriction in Epsom and Ewell for consideration in the next parking review? Please let SCC know by the end of February. The Local Committee will consider proposals on 19 June. Pothole reporting – Are you aware that pot holes can be reported to Surrey CC? Go to Report It Online. When a pot hole has been reported there is a case for compensation for anyone whose vehicle is later damaged by that pot hole. This web site can also be used to report a problem with pavements, street lighting and many other things. Community Recycling Centres in Surrey – the collection of recyclable waste over Christmas proved very successful. Despite notices being attached to all bins advising that the grey ones would not be collected for one week, many calls were made to the Council “why wasn’t my bin collected today?” Really!! We would remind residents that the Blenheim Road site is now closed to the public on Tuesdays and Wednesdays. Epsom Post Office – there is good news! After months of uncertainty, the Post Office has now secured a permanent location for the office. It has now opened in a new card and gift shop at 59, High Street. We wish the new team all the best for the new shop and Post Office and hope this will secure its long term future. Herald of Spring – this is on Saturday 10 March at Bourne Hall, Ewell from 9.30 am until 5 pm. This year’s theme is Mother Nature – learn about local green and natural organisations, local open spaces, see the flower displays and buy locally produced honey. Epsom Laughter Club – Laughter Yoga is a unique exercise routine which combines unconditional laughter with yogic breathing. Visit www.epsomlaughterclub.co.uk for more information. Warning re burglaries – there have been several attempted and one actual burglary in the immediate area over the last month. Please make sure you take every precaution to prevent this happening to you. Most of these have taken place in the afternoon. Vote on Parking on Grass Verges! The poll will be open for 7 days. If any of you have social media accounts and feel able to share this with residents or can ask them to vote it would be much appreciated so that we can collect as many views as possible. Residents in #EpsomandEwell value the grass verges in the Borough, but these are often damaged and pavements are blocked for pedestrians by irresponsible parking. In London, unless specifically permitted, a parking ticket could be issued, would you like to see this in E&E? First of all may we wish you a Very Happy New Year! Here is a round-up of what has been happening and some news on events to come since our last bulletin. AGM 10 April 2018 – this has now been fixed to take place at 7.30 pm (drinks beforehand) at Wallace Fields Junior School in Dorling Drive. We are hoping for the same excellent turnout that we saw last year! Following reports publicised in earlier bulletins – several of our Councillors met with Frances Rutter, the Chief Executive and Principal of Nescot, before the Christmas holidays. It would appear that Nescot is very aware of our concerns and some action is being taken. We are following this meeting up with a letter requesting a meeting on behalf of the residents and this will be sent to Ms Rutter in the near future. Any students found with drugs on their persons are expelled – this is not a funding issue. This is a simple process. There are nine introductory sessions with all new students informing them of what they must and must not do. A new agreement will apply to the student intake from September 2018 referencing random drug testing. Security has been taken in-house leading to greater control but this is restricted to the boundaries of the college in line with insurance directives. 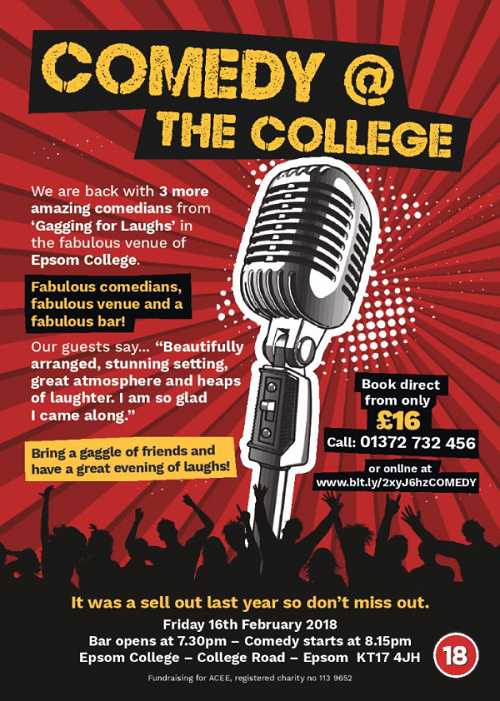 The college has liaised with Ewell East station and has a good relationship with them. Both uniformed and plain clothes police have patrolled the area and inform the college when they do. Our priority is to have a meeting with Ms Rutter as soon as possible and we will advise you further when we have details. We have sent an email to the developers of Sycamore Gardens telling them of the drug dealing in case they too wish to take the matter further. Aldi application on the Old Dairy site – their appeal against refusal of the application has been dismissed. There is an option to come back with a revised planning application but no news on this at the present time. Lidl – as expected, permission has been granted for the development on Upper High Street. Reigate Road Traffic Islands – Roman Way – to correct an earlier report, we now understand that there will not be a compulsory “no right turn” out of the development. This was something that we had pressed for but is not something that Surrey County Council deem necessary. Applications for flats in Ewell Village – there are two planning applications currently being considered for new flats in the High Street. Both relate to the first and second floors: one on 4/5 Market Parade, the site of the present Post Office, application No.17/00932/FUL – four 2-bed flats and the other at 27 High Street the site of the now closed RAM Security application No.17/01025/FUL – six 1-bed flats. In both applications, as with the recently approved “Star” site, there is insufficient designated parking. The Borough’s “Parking Standards for Residential Development Supplementary Planning Document”, effective from December 2015, requires developers to comply with these standards. The Council has the power to waive this in exceptional circumstances. Local Plan – as you will be aware the online consultation closed in November. The results are published on www.epsom-ewell.gov.uk/localplan under “Summary of Consultation responses”. Basically, the problem is that currently 181 units per year are built in Epsom and Ewell. Central Government has instructed local authorities to “significantly” increase the number of units they need to build and, in Epsom & Ewell’s case, they want 579 new homes per year. The demand identified as part of the strategic housing market assessment for Epsom and Ewell is 418 units per year for 15 years. Originally the land assessment exercise recognised that 3,000 could be built on identified land excluding Green Belt, woodland, SSI etc., but over 15 years that’s 3000 units short. However Central Government then published proposals under a white paper that to fix “our broken housing market”, they are proposing we rip up our strategic assessment and use their new process. This does not work well for Epsom and Ewell as we have recently built comparatively large numbers of units and the relative value of properties against the national wage doesn’t help either. The local plan must be completed or” predatory developers” could use the lack of a plan to land grab sites that would not be usually available for development. The Council/Councillors now have to prepare a report making their case for a reduction in the target given. This is ongoing. Plan E improvement works – following the Christmas break, works recommenced in South Street on Monday 8 January 2018 as planned. There will be similar lane closures in place to the ones before Christmas. The site compound has now been put back in place in the Market Place. There will be a short term, temporary lane closure on the High Street. This is to allow for materials to be safely delivered to the site compound. The bus stand on Ashley Avenue has been fully open since Tuesday 9 January. There have been some changes to bus stops and services. Please check the bus timetables webpage for details. The next step is to lay kerbs along South Street. Once this has been completed there will be alterations to the Marquis and Playhouse junctions. These phases are expected to commence in February. Fly tipping – successful prosecution against a man from Mitcham after fly tipping on Epsom Common with a £2,000 fine and driving ban. 166 Bus route – some of you will be aware that there is a question mark over the future of the 166 bus from Banstead to Epsom Hospital. The bus is specified by Transport for London and we understand that there has been contact with both Surrey and the Transport Commissioner to try to secure the future of the route. Its future is in doubt because it crosses the London boundary. Efforts are being made to try to sort this out so that the route continues for the future. Chinese New Year in London 2018 – celebrate the Year of the Dog in London, with the biggest Chinese New Year celebrations outside Asia. Every year, hundreds of thousands of people descend on the West End to enjoy a colourful parade, free stage performances and traditional Chinese food, and to wish each other “Xin Nian Kuai Le” (Happy New Year in Mandarin) or “San Nin Faai Lok” (in Cantonese). The London celebrations are taking place on 18th February, which is the Sunday following the date of the Chinese New Year (16 February). Epsom Methodist Book Fair – the 2018 Fair will take place on Thursday 15th and Friday 16th February (from 10am to 8pm) and Saturday 17th February (10am-4pm). The dealers’ preview will be on Wednesday 15th February (6pm to 9pm). They will be running the Book Fair for the seventeenth successive year over Spring Half Term 2018 from Thursday to Saturday inclusive and are open for donations of books from Wednesday 7th to Sunday 11th February. Epsom Laughter Club – Laughter Yoga is a unique exercise routine which combines unconditional laughter with yogic breathing. It is a fact that the body cannot differentiate between fake and real laughter. You can get the full health benefits, whether laughter is real or simulated. Laughter Yoga was started and developed by Dr Madan Kataria in India in 1995 and is now practiced in over 73 countries. Visit www.epsomlaughterclub.co.uk for more information. FREE taster sessions offered at Alexandra Park, Epsom (between Bowling green & Children’s playground) – 3rd Sunday of every month at 9am – unless heavy rain. Session will typically last about 50 mins. Please wear comfortable clothing and bring either a yoga mat or a picnic blanket as we may sit/lie down. Nextdoor Ewell Downs – this is a free private social network for your neighbourhood community. Nextdoor is a good way to stay informed about what’s going on in your neighbourhood—whether it’s finding a last-minute babysitter, planning a local event, or sharing safety tips. There is one for Ewell Downs and although we would hesitate to recommend this site, there are several members in this area and it has proved a useful method of communication. Keeping in touch – this bulletin is distributed to all those who have provided email addresses. The return of email addresses on the subscription envelopes has increased numbers dramatically! I hope everyone finds this flow of information useful and thank those who have commented in an appreciative way. Please pass this information on to any resident who may find it useful and ask them to let us have their email address so we can keep them in the loop. The councillors have a meeting with Jackie Elkins, the police Inspector for Epsom & Ewell North on Thursday of next week. They will be bringing this up for action as a matter of importance. Should this attempt not achieve any results they have confirmed that they will go higher up the police chain. b) what action is proposed? We shall be in touch with the developers of Sycamore Gardens as very soon they will be opening the pedestrian entrance opposite the area where the dealing is taking place. We will keep you informed of any progress in this matter – we are determined to get some action, so please come forward with any ideas you may have to help. Street Lighting – a result! Following pressure, particularly from our Surrey County Councillors, John Beckett and Eber Kington, the street lighting will now stay on until 1 am and then it will go off until 5 am. This is something that many of you have contacted us about and we are pleased to say that this will take effect from Thursday night. There may be a few lights that have yet to be tweaked but everything should be in line by Sunday night. 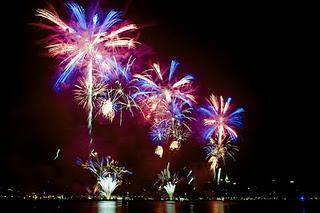 They are requesting that on New Year’s Eve the lights remain on all night so that revellers can get home safely. Can you assist local officers investigating an assault in East Ewell? Police were made aware of an incident involving NESCOT students which occurred on Thursday, 16 November 2017, in an alleyway between NESCOT and Ewell East Rail Station. It appears that this incident took place before 3pm however the exact time is unknown. Video was captured of the incident which showed the victims being assaulted by a male who slapped the two males to the face and body with an object, whilst shouting and threatening them. It is believed the video has come from an unidentified third party and the footage does not identify the victims. If you have any information about the incident or are aware of who the victims might be please contact Surrey Police on 101 or report online at Surrey Police Contact quoting reference number 45170129390. You will soon all be receiving your newsletter from your Road Reps so I will not use this bulletin to repeat any of the information but there is one matter that has been brought to our attention that needs to be publicised so that anyone who has suggestions to make can come forward. Several residents living on St Normans Way, just the other side of the Sycamore Gardens development have been in touch. “We have expelled so many students this term if we do more we are at risk of losing funding. Not only are they doing drugs but they have also vandalised the fence, of another resident with graffiti and a photo of this is attached. Whether they are Nescot students or not it is quite evident by firstly their name badges around their necks with Nescot student emblazoned on them, then the fact that it is Mon-Fri 11:30 -13:20 when the incidents happen, which coincides with their break. It does not occur at weekend or generally outside those times. The police have been informed on many occasions but have taken no action. Generally, throughout the Ewell area, there seems to be little or no police presence despite reports of crimes comprising thefts, road traffic incidents, graffiti and drug taking and, to add to the catalogue, a female member of staff at the co-op nearest to Ewell West railway station, was forced to hand over £2,000 of takings at knife-point. This is concerning for a number of reasons; firstly there are many young school children that walk along there and could be intimidated, secondly many of these drug takers are subsequently going back to college and operating machinery or dealing with the general public, thirdly due to the numbers of students it suggests there is possibly some drug dealing going in order for them to source it. If all residents could be vigilant and record and report all incidents to the police and/or the college we shall seek to eradicate this scourge on our community. All of our local councillors have been involved and are coming forward with some very encouraging suggestions on how to take this forward and we are grateful to them. One councillor has visited the site and photographed the offensive graffiti. He will arrange for this to be cleaned off when all this has been sorted out – as requested by the resident whose fence it is – and others are raising the matter with both their contacts at Nescot and the police. We hope that their interventions will result in some positive action. Another option that Nescot could consider is to close the side entrances to the college after admittance hours in the morning. This would make the area a little less local for the students in the time limits of their breaks. You could say this would push the problem elsewhere but the area towards the front of the college is not as private and convenient for dealing and openly taking drugs. It would at least be worth experimenting with. We shall also be liaising with our contact at the Sycamore Gardens development site for their support as they will soon open the pedestrian entrance which is close on the opposite side and are sure that they do not want this despoliation close to their development. The daily incidents of drug dealing on our doorstep paints an alarming picture and we would be interested in your thoughts and suggestions on what can be done. The atrocious mess and graffiti on a resident’s fence is shown below.